[tps_footer]Katrina Kaif and Aditya Roy Kapur will soon flaunt their chemistry on the silver screen with ‘Fitoor’. Abhishek Kapoor’s much awaited film ‘Fitoor’ is already in limelight for the unique star cast and scenic glimpses. The romantic movie is based on the classic novel Great Expectations by Charles Dickens. After the title track Fitoor, Pashmina and Tere Liye, the yet another romantic song from the film is Hone Do Batiyaan. The track Hone Do Batiyaan is full of emotions and expressions. 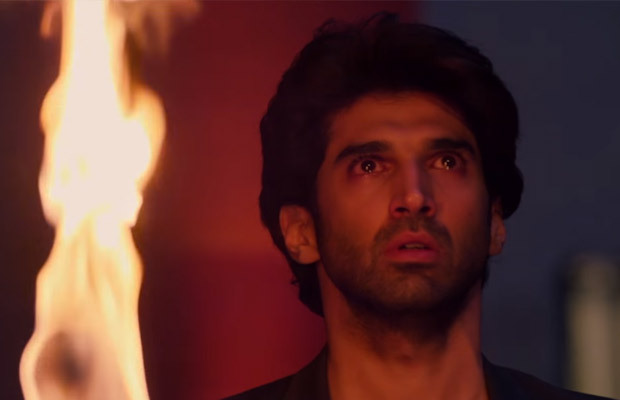 The track features lead characters Katrina and Aditya drenched in sadness and dilemma. The track sees Katrina in a vintage look and the starlet is looking promising as ever. Aditya on the other hand plays a die-hard heartbroken individual. The two actors have an unsaid communication with each other and the track surely catches the crux of the scene. It can be sensed that this track emphasizes on the time when both the characters have parted ways with each other. Hone Do Batiyaan has meaningful lyrics and will surely bring you the memories of your ex! The overly sentimental song, sees Katrina trying to move on while Aditya trying to get in terms with the separation. The two stars are nailing their performances to the core. All the songs of ‘Fitoor’ have impressed the audiences. This newly launched song is an apt one for heart breaks. Hone Do Batiyaan is crooned by Nandini Srikar and Zeb Bagnash. The lyrics are penned down by Swanand Kirkire. ‘Fitoor’ will not only see a new on screen pairing, but the film is also in the minds of the audience for its wonderful trailer. Expectations from Abhishek Kapoor’s ‘Fitoor’ are already high and the film is all set to hit the theatres on February 12th, 2016. Previous articleKapoor & Sons First Poster: Sidharth Malhotra, Alia Bhatt And Fawad Khan In A Party Mode! Next articleAfter Anupam Kher Lashes Out At Pakistan Govt For Visa Refusal, Actor Declines Visa Offer!